AEBSF is an irreversible serine protease inhibitor. AEBSF has been shown to inhibit trypsin, chymotrypsin, plasmin, kallikrein and thrombin. It inhibits by acylation of the active site of the enzyme. As an alternative to PMSF and DFP, AEBSF offers lower toxicity, improved solubility in water and improved stability in aqueous solutions. 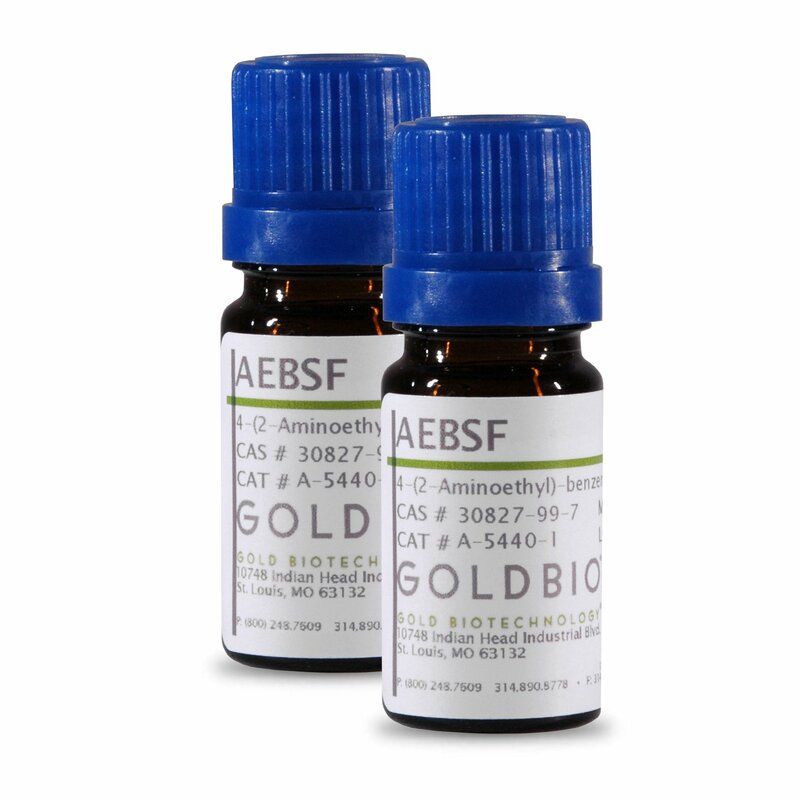 AEBSF has been used in cell culture in concentrations of up to 0.25mM. Aqueous solutions are stable between pH 5-6; limited stability above pH 7.5. Attention Canadian and Mexican customers: This product is a hazardous and can only ship via Air. Storage and Handling: Store at -20°C. Protect from light. AEBSF solubility, storage and reactions rates with various serine proteases.